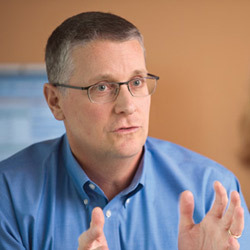 A little more than two years after the first set of Choosing Wisely® lists were released, health leaders in Washington State are using the campaign to reduce overuse and increase high-value care for its residents. 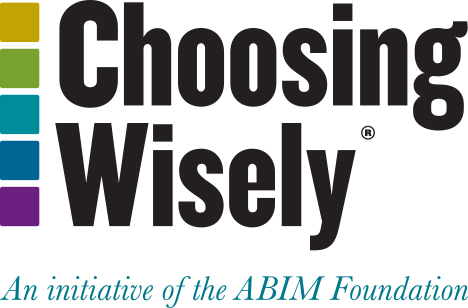 The state’s Choosing Wisely Task Force, co-sponsored by the Washington Health Alliance (the Alliance), the Washington State Medical Association (both grantees of the ABIM Foundation) and the Washington State Hospital Association (WSHA), looked at claims data of over 3 million people to better understand the prevalence of nine tests and procedures that have been highlighted in various Choosing Wisely lists. Their work resulted in a report, Less Waste. Less Harm. Choosing Wisely in Washington state, and offers county-by-county results. While many of these recommendations are considered standard practices, the report showed great variation from county to county and also between Medicaid and commercially insured patients. For example, in one county, 67 percent of patients received follow-up imaging for clinically inconsequential ovarian cysts, while in another, follow-up occurred at a rate of only 13 percent. Commercially insured patients received more appropriate care than those on Medicaid for six out of nine measures, while Medicaid patients received more appropriate care than their commercial counterparts for antibiotics and imaging for sinus infections and frequency of Pap smears. On the whole, the report uncovered opportunities to reduce overuse in every county and both patient populations. This report represents an important milestone for the Choosing Wisely campaign as it lays out a foundation for creating standard measures for evaluating the society recommendations. While many organizations are collecting and analyzing implementation of Choosing Wisely recommendations, benchmarking performance against other provider organizations has proved difficult. The Washington State Choosing Wisely Task Force, with the help of Alliance staff, refined the measures into technical specifications so the state – and others in the future – can comprehensively look at how systems are adhering to the recommendations. In conjunction with the report, the Task Force is launching an initiative called “Change One Thing.” The report identified the greatest opportunity for improvement lies in reducing the number of patients statewide who receive imaging for uncomplicated headaches. The goal of “Change One Thing” is to reduce the high, statewide rate (25 percent) as well as reduce the high variation (currently a 28 percentage point difference), among counties. To support this effort, the Task Force developed an action manual on leading a Choosing Wisely change in an organization. The manual is available at www.wsma.org/choosing-wisely.